We design and manufacture GVF equipment. Our engineering team has been designing GVF equipment to be easier to operate, safer and more efficient since 1977. Our machines adhere to the highest standards of quality. We carry the most versatile and reliable brands of farm equipment.  We are a certified reseller of brands such as Bush Hog, Woods, Rears, Massey Ferguson, Sunflower, Hesston, and more. Owners' Manuals and Technical Info for GVF equipment. Download documentation for GVF machines including the Orbit Lift Pruning Tower, Sonic Spray, Standard Topper Hedger, GVF Rough Terrain Forklift and others. Contact us to find out how the right equipment can "pay for itself." Our goal is to provide you with farm and orchard equipment that perfectly suits your needs and makes your agricultural operation more profitable.